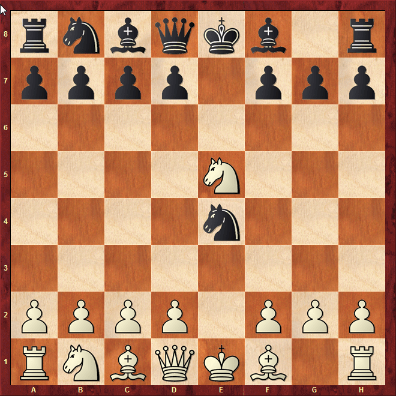 As you can probably guess from the title of this article, I am an amateur Chess player and certainly a beginner when it comes to Opening theory. My chess journey has a lot of turns and several starts and stops. Hopefully by sharing things I learn, I can get better. So, Today learned about one of the famous chess openings - Petrov's Defence, named after Russian chess master Alexander Petrov. This opening is also sometimes referred to as Russian Opening. And this is my analysis of the opening. I will try to analyse all the possible combinations I can think of how insignificant they may be just so that this is beginner friendly. Here's how it looks from the Black side. 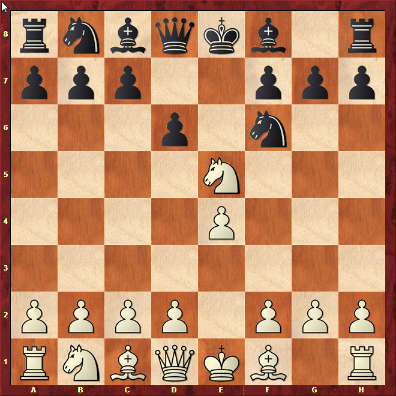 Now, If you are a fan of symmetry like me, you might expect black to follow suit as well taking the e4 pawn. But that can prove fatal for Black. Not sure how? Let's explore. So, if Black side plays 3. ... Nxe4, we get this symmetric position on the board as expected. Here white has an easier move of 4. Qe2 threatening the Knight. Now, If black wanted to continue symmetry and played 4. ... Qe7, it would be really worse as the next moves would be 5. Qxe4 Qxe5 and Wham Bam Thank you Ma'am, because black just lost its Queen. Now, another possible line from 4. Qe2 is 4. 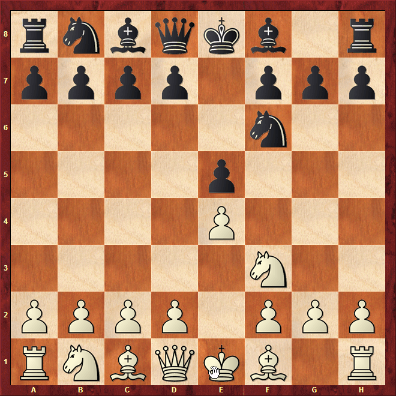 ... Nf6 with black retreating its Knight. Now, Is this fine for Black? The answer is still No. Notice that the White Queen and the Black King are on the 'E' file. So, If the white player just moves his Knight out of the way, you will have a discovered check from the Queen. Now, If he can manage to threaten one of your big players with the knight along with the discovered check, that would just be deadly. White has two ways it can proceed from here to try to extract maximum damage. One possible line is white playing 5. Nxf7+, forking your Queen and Rook along with the discovered check. 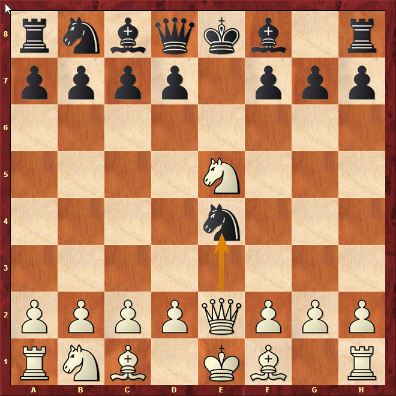 But, this position is actually not good for White as black can just take on f7 with 5. ... Kxf7 coming out of the check and getting a piece in return. 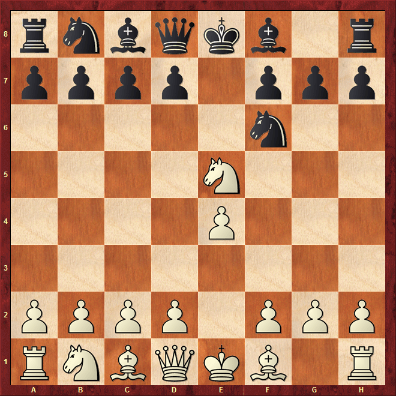 Here White lost a Knight for just a pawn. 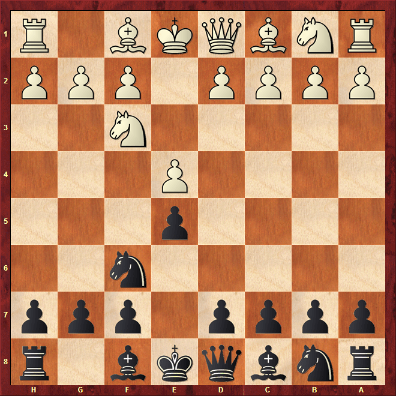 Though black has lost the ability to castle, the lead in material should more than make up for it if he/she plays carefully. So, we saw 5. Nxf7+ is a bad move. What else is there? How about 5. Nc6+ ? You have a deadly discovered check along with a direct threat to the black Queen. 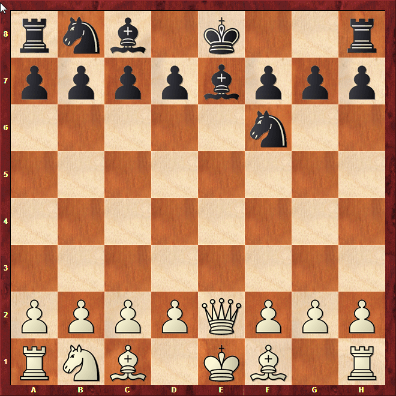 Now, if you are playing with black pieces here, all is not done at. You're certainly in a grave position but with a bit of thought we can try to come out with the least bit of damage. So, after 5. Nc6+, you have to first get your king to safety. You've got two ways. With the Bishop or the Queen. Let's see what happens if we try Bishop. So, you move 5. ... Be7. Now, the White Knight will just jump at the opportunity and take your Queen with 6. Nxd8. You lost the Queen but you got a Knight while losing your ability to Castle. So, How about 5. ... Qe7? Knight will still take on e7 with 6. 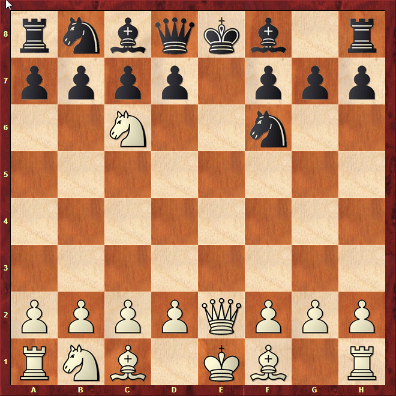 Nxe7 and you take it back with the Bishop, all the while getting ready to castle on the Kingside in the next move. Doesn't look like a bad move. So, that is your best move if you managed to get to that position. But, you should never get to that position because you should never take on e4 in 3. ... Nxe4. That's a bad move. Let's get back to the position of 3. Nxe5. Let's see what the black side can do now. 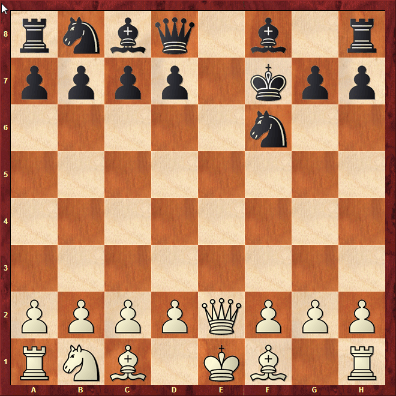 Instead of taking the pawn, black can try to get the white knight away from its base by playing 3. ... d6. White of-course retreats its Knight on to f3 or d3, preferably f3 to avoid blocking the light square bishop. Now, black can take on the pawn freely and is better equipped to deal with the subsequent pin from Qe2. So, that concludes my little analysis of this famous opening. There are a lot of variations possible around this main line and obviously we can't cover all of them. So, do setup the board and practice all the variations for yourself to get the hang of it. That's it for this analysis. See you next time.